Whether you like the work of Stanley Kubrick or not, few can deny that his films are some of the most thought-provoking cinematic experiences anyone can have. For me, all of his films belong to a master craftsman who poured his time and his intellect into the making of movies. None of them can be faulted for lacking depth or lacking artistic value. When Kubrick was set on making a sci-fiction film that raised questions about the origin and the future of humanity, Kubrick made the magnificent and timeless “2001”. When he explored the genre of horror and suspense, he made the Overlook Hotel the most horrifying place in America in The Shining. 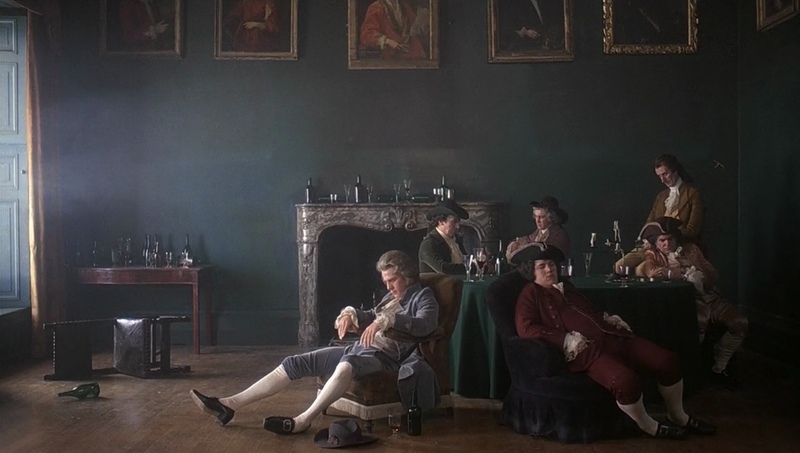 In the same fashion, Barry Lyndon responded to the very conscious desires of an ambitious film maker who was seeking to construct a rich and colorful time period piece set in 19th century European aristocracy. 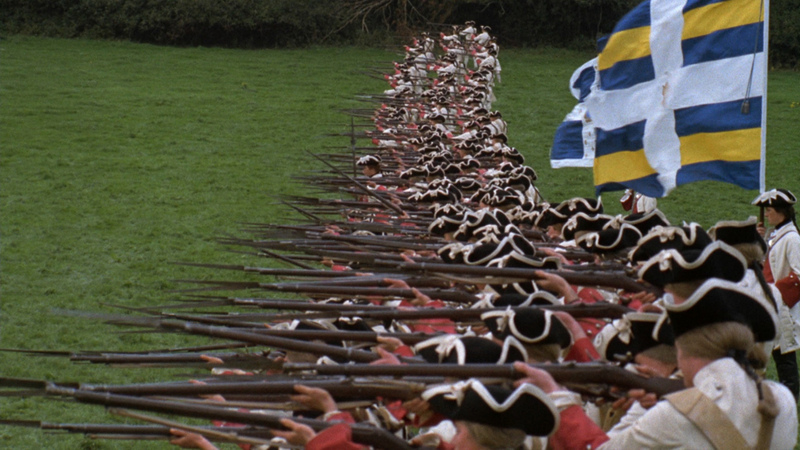 Much has been said and written about “Barry Lyndon” by those that consider it yet another of Kubrick’s masterpieces. Contrary to what film critics of great repute like Roger Ebert have said calling it an example of the “arrogance of genius”, I do NOT consider Barry Lyndon a great film, but rather an extremely long and dull piece of film that is, like any other Kubrick project, technically flawless, classy, extravagant and distant. One thing that cannot be denied is that Kubrick was a film maker that was not confined by a linear story. In that sense, Barry Lyndon exceeds the convoluted and uninspiring life of its protagonist framing it within a time period that had very distinct costumes, unique socio-economic realities and a certain feel and pace. From the manner in which the narration was conceived, to the long sequences of silence and very slow and precise enunciation of the dialogue, Barry Lyndon is perhaps the most ambitious attempt to capture a time in history that is foreign to most of us, but that becomes familiar by the time the end credits roll in. Like in any other Kubrick piece, Barry Lyndon features an exceptional camera work that is supported by a carefully planned and realized costume design and make-up brought to life by a very capable set of actors. The protagonist, played with coolness and detachment by Ryan O’Neal, brings forth little to nothing in terms of emotion, as unremarkable and unheroic a lead as there has ever been. Even though the rest of Kubrick’s films share its cool and sometimes brutal lack of emotion, Barry Lyndon feels void and stale, without the metaphorical resonance of the rest of his work. At fault is perhaps Kubrick’s rigorous stylistic approach to the film which did not allow it to become more than an atmospheric time piece. The structure and delivery of the film is a conscious decision by Kubrick, but does it have anything to say? While films like “Full Metal Jacket” gained significance for its clear yet never openly stated anti-war message, and “2001” poses questions about life and existence, Barry Lyndon has no stance or underlying theme. It is framed the way Kubrick wanted us to perceive it, without a single technical problem and with the extravagance and precision that characterized his work. At the end, film is supposed to inspire, to move us, to entertain or to leave something of value. In that sense, Barry Lindon is more of a conversation piece than a film to own and revisit every few years. Nice review, Niels! I agree Barry Lyndon is as always with Kubrick a technically very accomplished film, the scene of candles indoors apparently was a unique piece of cinema. As you did, I had problems with the running time, which I feel could have been shorter. Perhaps because its a Kubrick(and he made so few films), people give it higher praise than it probably deserves. No real big stars didn’t help its cause at the box office, was a flop at the time I remember reading. The trouble with any of Kubricks “lesser” films is that they pale in comparison to his masterpieces, are expectations are so incredibly high. A pity we do compare it to other Kubrick films. My feeling is if say R Polanski had directed, would be called a good film. By Kubrick, arguably the greatest director of all time, just a mediocre film. I just could not get over how little there was to the story. Very uninspiring, easily forgettable and very boring. Great review Niels, you’re an excellent writer. Can’t say I’m a big fan of Kubrick’s work but I’m intrigued by Barry Lyndon as I quite like period dramas. I didn’t even know he did something in this genre. Thanks for the compliment Ruth! If you like period dramas I’d suggest Barry Lyndon only based on how great of a portrait it offers of the time period, not because of the quality of the film as a whole. There are definitely more worthwhile Kubrick works out there. It’s been a long while since I last watched the film, but I remember being captivated by it’s look and palette. Story wise, I remember it being about O’Neals comeuppance, but correct me if I’m wrong. That is, more or less, what the story is about. While the “look” of the film is certainly praiseworthy, the structure and the plot are definitely far from being captivating. I was utterly disappointed, I always expect so much from Mr. Kubrick. I must copy Ruth’s comment above. Great review. you ARE an excellent writer. I canNOT say that I am a big fan of Kubrick’s work (I do, however, own Full Metal Jacket). and I didn’t even know he did something in this genre. I prob will b skipping this one, but thanks for sharing it. I would be interested to know what other Kubrick films you have seen. I hold him in pretty high regard, he’s one of my favorite directors. I have to say that this is the second time I’ve been let down by one of his pieces (the first one being Eyes Wide Shut). All of his other films have left a lasting impression on me and I consider them all masterpieces on their own right. My favorite is probably between The Shining and Dr. Strangelove. HAHA I am going to third what has been said before… Your writing rocks and therefore I absolutely hate you with a passion!! HAHAHA I hate you all back for being so devoted to blogging and forcing me to stay up to date even when I never have the time. I disagree with the writer and some of the commenters here. As others who have placed BL amongst Kubrick’s better films I would say there is definitely a unifying theme in the film, and that is the coldness and indifference of the world that essentially teaches men and women – logical, cunning creatures – to lie and manipulate, to pose, to wear the “masks” that allow them to achieve their goals. The leisurely pace of the film, its controlled visual beauty, and the “un-emotional” acting, almost prevent you from noticing that Barry is led on, used, humiliated, misdirected from home (for money), robbed and physically brutalized before laying his eyes on Lady Lyndon – which I think is intentional. It amounts to a slow-motion, almost mechanistic description of a man being shaped and ruined by forces beyond his control. I believe that to be the underlying theme. Now wether you ENJOY how Kubrick makes his point is a different question. I for one love the film. Nice review, Niels. I can see where you’re coming from, but for me, I was engrossed just by the visual spectacle of it all. I found it to be a really interesting story of an unremarkable man, and the attention to detail was astonishing. It is slow and maybe a little too long, but it worked overall for me.